One of the best things about visiting Cabarete is being able to get around freely, easily, and very cheap. Our Guide to public transportation in Cabarete will explain everything you need to know about getting around town. Walking– Walking is free and being that Villa Taina is located in town center, walking will be your main mode of transportation when getting to most places in Cabarete. 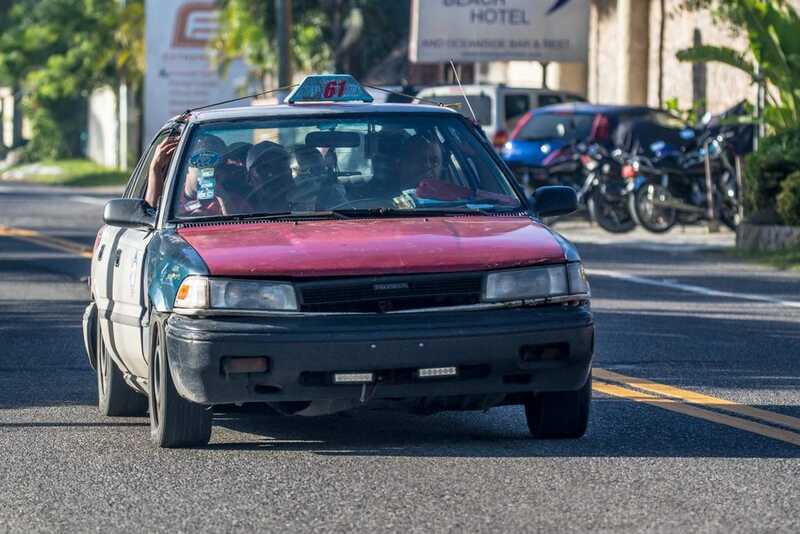 Motoconcho– Moto taxi or motoconcho as it’s called in the Dominican Republic, is a fast, private, and convenient way to get where you need to go. Motoconcho’s are usually waiting all over the streets and may even beep at you to offer you rides as they pass by. It costs 50rd to get anywhere within Cabarete, rides to Playa Encuentro are double and Sosua 200rd or more. Taxi– If traveling in a group or in the rain, taxi is the most convenient. Undoubtedly taxi’s are the safest way to travel and also the most expensive. Anywhere within Cabarete including Playa Encuentro will cost $10usd, trips to Sosua will cost $15usd or more. 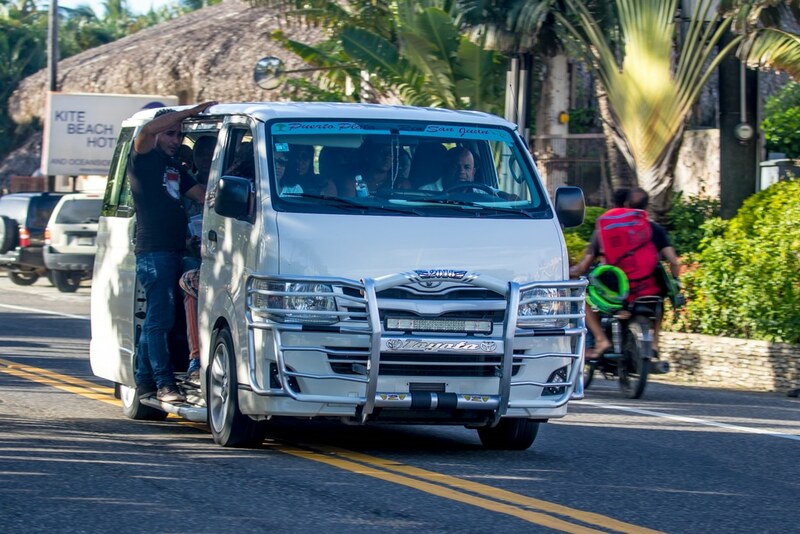 The two types of public transportation in Cabarete are public car, called carrito, and public bus, called guagua (wauh-wah.) They are similar to each other in price and how to catch them but vary in other ways. A Carrito will travel faster than a guagua because it makes less stops as it fits less passengers. Interestingly enough, a public car will fit 8 people in a 5 passenger vehicle. With four in the front, and four in the back, a carrito will speed up and and down the main road stopping at your request. If you’re asking yourself how four people fit in the front seat, know that the center console is replaced by a pillow and the driver shares his seat with you. Being in a stuffed car is pretty uncomfortable but for just 25rd to go from Sosua to Cabarete, you’re getting what you paid for. You always have the option to pay for an extra seat and the driver won’t stop for an extra person. 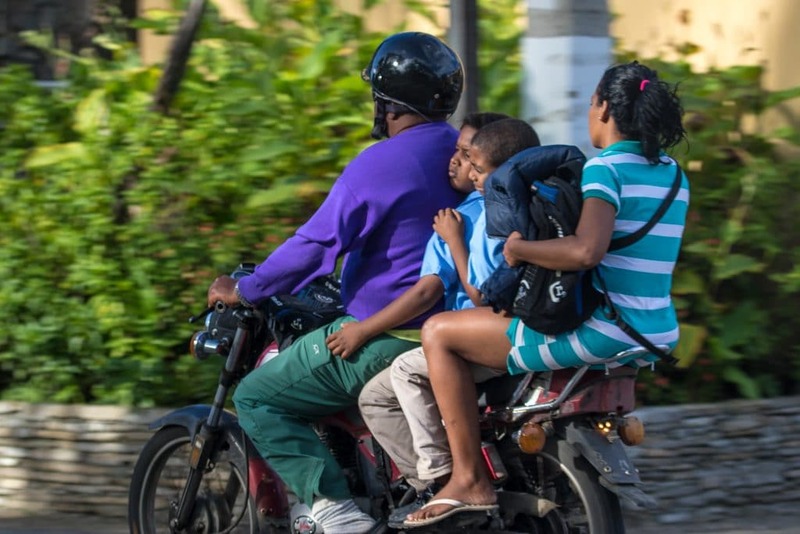 A guagua is usually a 17 passenger van with as many people as can fit in it as possible. Although it is now illegal for guaguas to travel with their sliding doors open, you might see them in the afternoon so full that men are standing up hanging out of the van holding on to the door frame. A guagua will have a driver, called a chofer, and a helper sitting in the back who takes the money and tells the driver when and where to stop, called a cobrador. You should pay the cobrador as soon as you mount the guagua and let him know where you’re getting off. In the daytime, getting anywhere within Cabarete all the way to the Sosua terminal will cost 25rd. In the night time, it will cost 35rd, sometimes 40rd depending on your driver. As a visitor in the country, it’s best to just pay up if a driver is asking for more especially because the difference in price is only a few cents. Public transportation is the best way to get to far away places like Gaspar Hernandez, Rio San Juan, or Puerto Plata. There is a carrito terminal in Sosua that makes getting to these places easier. For example if you want to get to Puerto Plata, you would take a carrito, guagua, moto, or taxi to the Texaco in Sosua. This is a main stop for all the carritos to fill up with passengers and head either East to Rio San Juan, or west to Puerto Plata. The carritos will usually have a sign at the top of their windshield detailing their regular route. For example Puerto Plata- Rio San Juan means the car starts in one of the cities and turns around at the other. This is the easiest part! To catch a public car or bus, you just wait on the main road, wait until you see a guagua or carrito, and wave your arm out. If there is space for you, they will stop. Remember to pay when you get on and let them know where you are going. Always use banks, markets, and other landmarks close to your destination as stop names. For example if you are going to playa Encuentro, you would say “La entrada de Coconut Palms” because Coconut Palms is more recognizable to drivers than the beach. We hope this was a helpful article for how to get around Cabarete the way locals do. If you have any questions let us know in the comments below or ask our guest services.